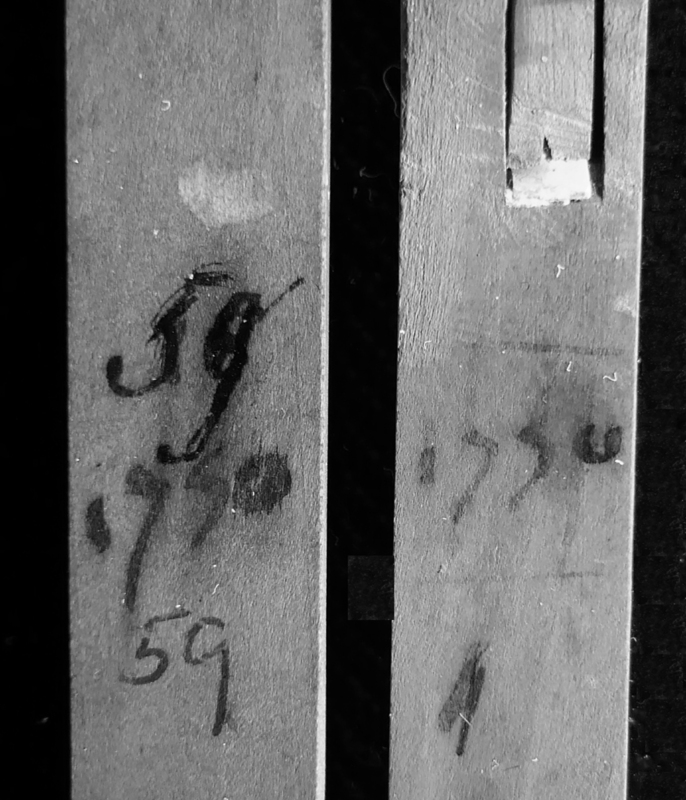 Franco-Flemish harpsichord jacks photographed in UV light and dated 1750. The date 1750, written with quill and (iron gall?) ink, on the jacks of 2 of the 3 rows when the compass had only 58 notes, has been photographed here in UV light (365 nm.) in order to make the (iron gall?) ink show up more clearly. These 58 jacks (here re-numbered '59' in a modern restoration) correspond to the first ravalement compass of F1 to d3 so these jacks would have plucked the strings for the top d3 note.